The 76 mm gun is here in a twin mounting (LvSa2) on the minelayer FYEN. The gun was originally in an open mount, but was later protected by a glass fibre shield. The FALSTER Class minelayer were originally equipped with 4 guns in twin mountings (LvSa2). The aft mounting was removed around 1993-1994. 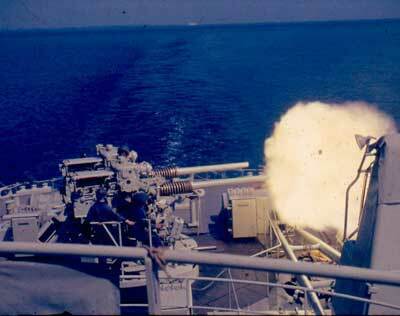 The TRITON Class corvettes had two guns in single mount (LvSa).